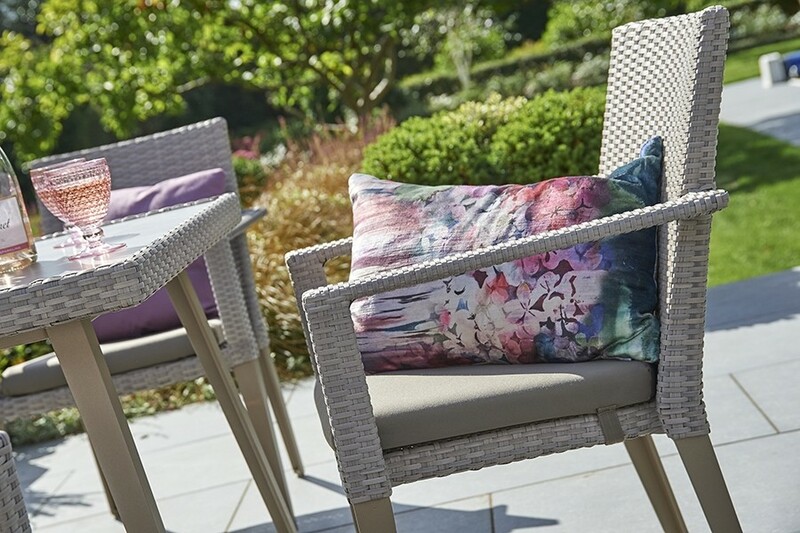 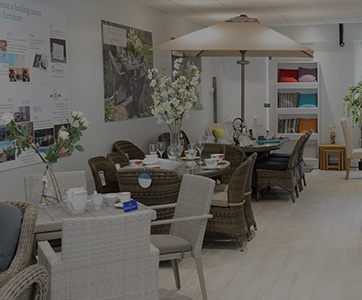 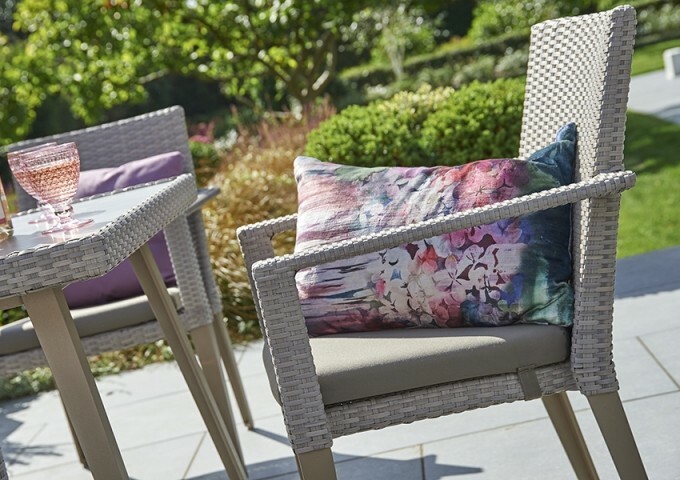 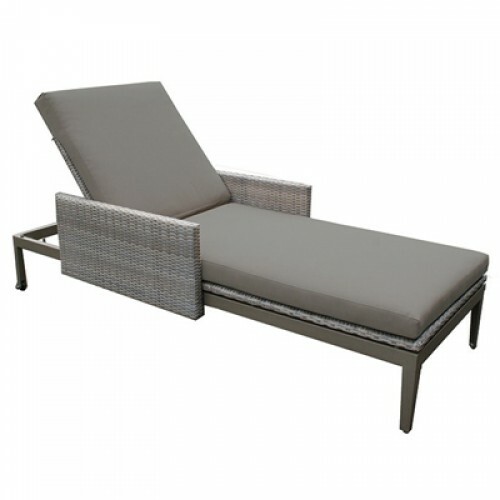 Convenience meets contemporary style in the Hampstead collection, offering fine examples of appealing yet practical garden furniture. 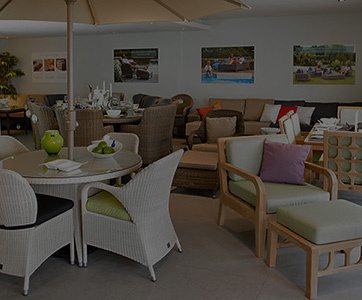 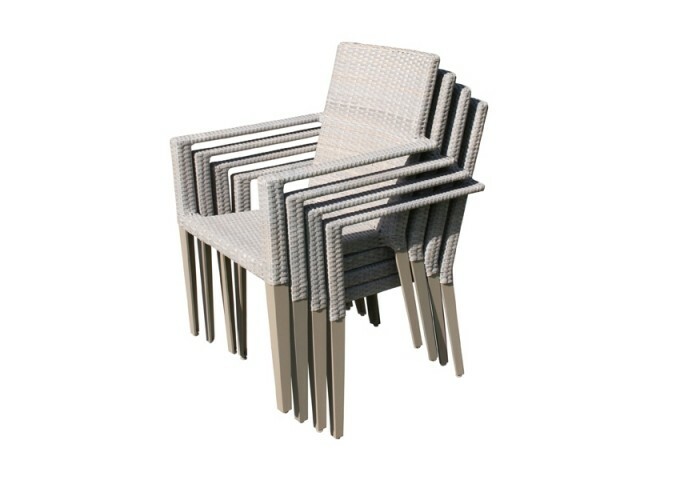 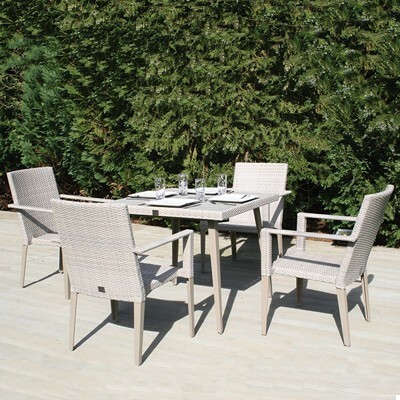 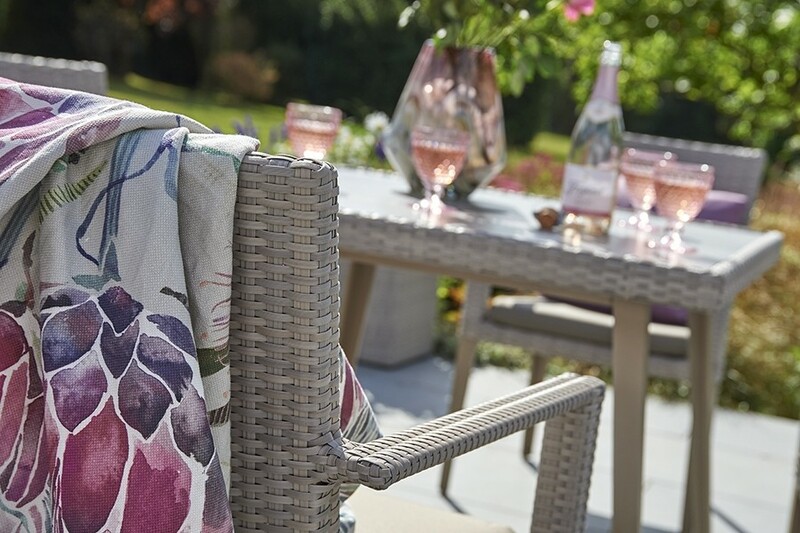 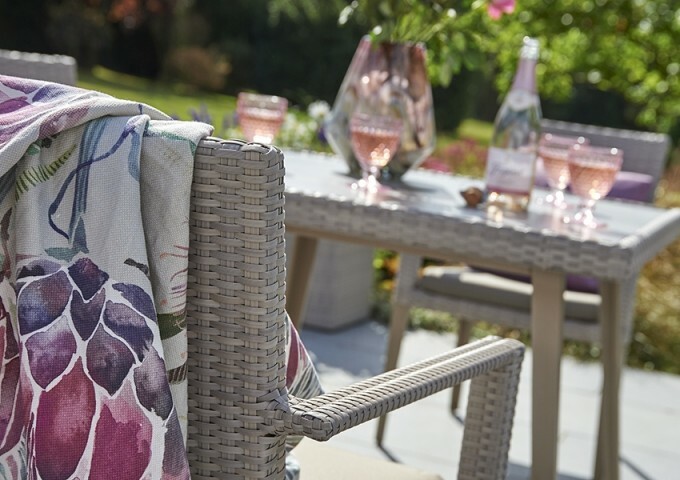 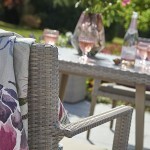 This Hampstead dining set is sure to inspire you to enjoy more idyllic outdoor dining. 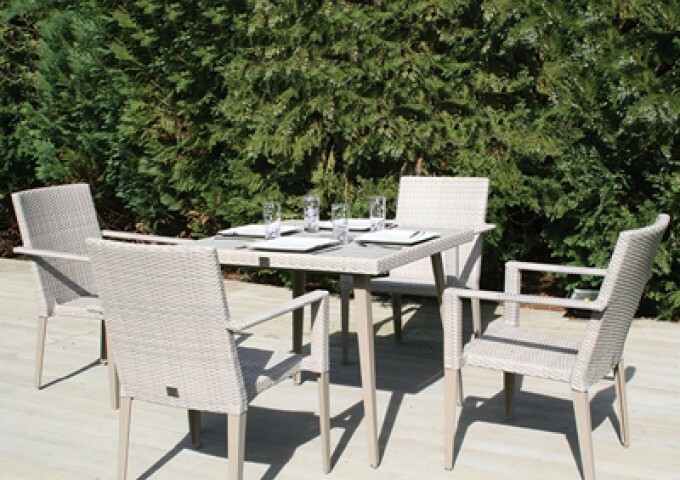 Not only does it exhibit an elegant form but it is highly suited to its function with an impressive, weather resistant construction that requires no maintenance. 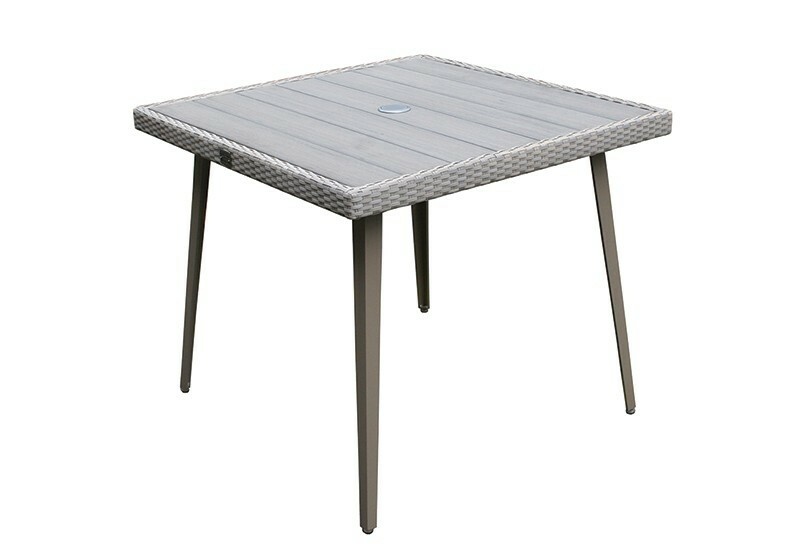 The tapered, powder coated aluminium legs of the 90cm square dining table can be adjusted to sit securely on any deck or patio. 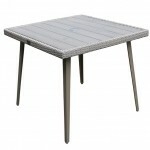 The standard tabletop is made from a composite material that showcases a stunning wood effect that is lightweight and durable, or optionally a high pressure laminate (HPL) table top is available at an extra cost. 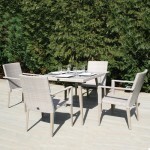 HPL is a totally weatherproof material that is extremely hardwearing. 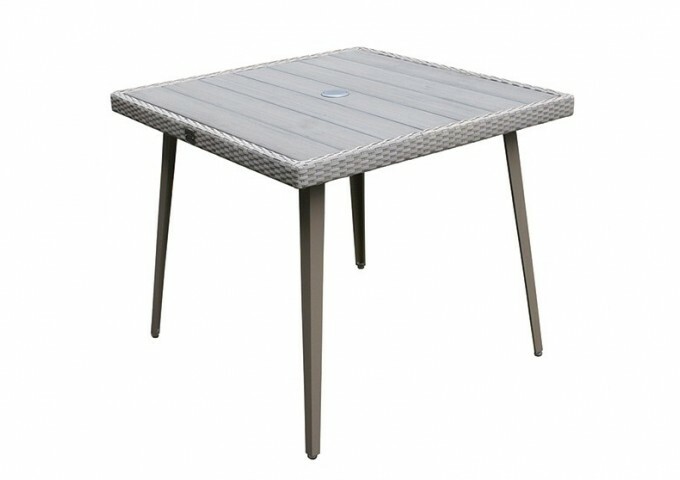 For when the sun shines there is a hole designed for a parasol with a removable plug, whichever choice of table top is chosen. The four armchairs mirror the modern styling with matching aluminium frames and stone-grey, rattan weave. 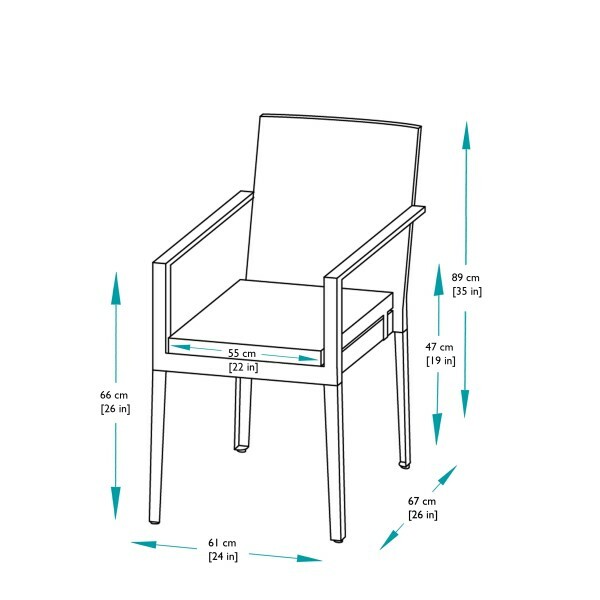 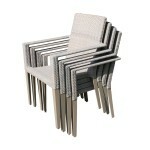 The chairs can be easily stacked so you can move or store them at your convenience. 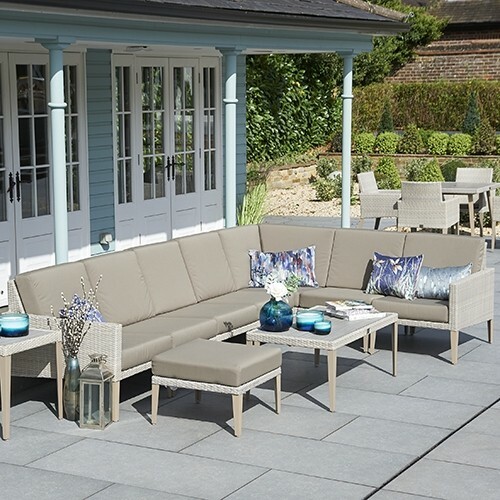 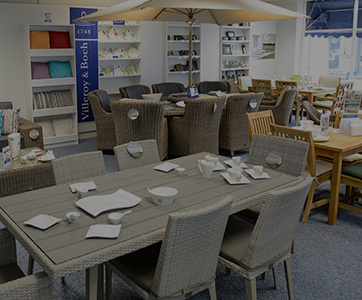 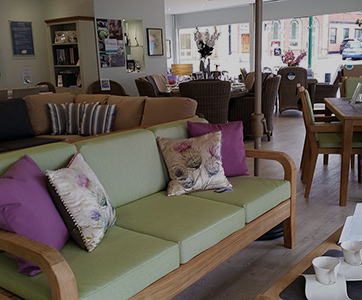 The diners comfort is enhanced with the addition of optional padded, waterproof cushions. 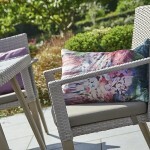  "Products very well wrapped. 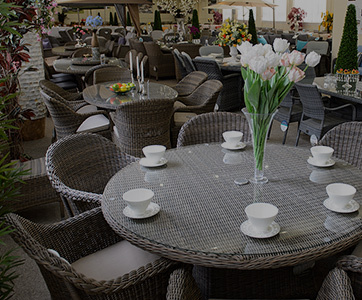 Friendly marketing and communication."